Les, Kurt, and Jason give the latest update on Lori Loughlin before diving into a movie about postpartum depression, new friendship, cheating, murder, and the wrong way to store orange juice and Marie Callender pies. Feel free to transcribe this podcast for use in your college thesis... or just bring Nancy Walker back from the dead to do a Google search for you. This movie has EVERYTHING one could want in a Hallmark movie: A busy woman with no time for love. A high-powered man who threatens to take away the only joy in the woman's life holds. A premise that involves some aspects of DIY (hello, gardening!). A buildup to a big event in town (this movie has THREE of those events, BTW). The community rallying together. And a single somewhat chaste kiss. As the guys sort through it all, Les and Jason point out to Kurt all of the very blatant produce innuendo that he missed. James Franco could barely be bothered to show up on set for his 2016 "remake" of the Lifetime staple "Mother, May I Sleep with Danger." Tori Spelling and Ivan Sergei return from the original, but little else remains from the original. Les, Kurt, and Jason also learn that this update has a dude named Bob, a whole lotta photo shoot montages, an overabundance of a Shakespearean play whose name Kurt and Les won't say (Jason'll say it: "Macbeth"), and a severe lack of lighting and Tori Spelling rowboating. On this episode, Les, Kurt, and Jason tackle the granddaddy of all Lifetime movies: Mother May I Sleep with Danger! Except, it's not technically a Lifetime movie. But it is amazing, featuring Tori Spelling at her Tori Spelling-ist, rowing a boat away from Ivan Sergei's murderous cutting board and into Shelly Hack's heart. Today the guys do a deep dive into the college cheating scandal . Hallmark fired Lori Loughlin for her involvement . 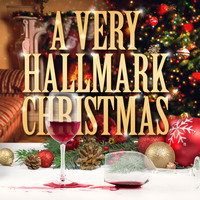 And the guys celebrate Lori's exit from The Hallmark Universe by also discussing her movie Every Christmas Has A Story . And trust me they have opinions . Today the guys talk about The Hallmark Channel Movie Royal Ever After and this is one of the rare times that all three of them agree on the movie . Did they love it or hate it ? Listen and find out . Today the guys talk about the Hallmark Movie Love , Romance ad Chocolate which stars the patron saint of our podcast Lacey Chabert. In addition to the movie the guys talk about Valentines Day, Europe and of course CHOCOLATE !!! Today the guys watch The Lifetime movie The Good Mistress. A woman moves to a new town and unknowingly sleeps with her best friend's husband . Oh and someone gets murdered . You have to listen to the podcast for it to all make sense. This week the guys watch the movie Snowcoming on The Hallmark Channel . A woman goes back her hometown for her dad's retirement party . And while she is there she bumps into her ex boyfriend who is now a pro football player . Will they fall in love ?